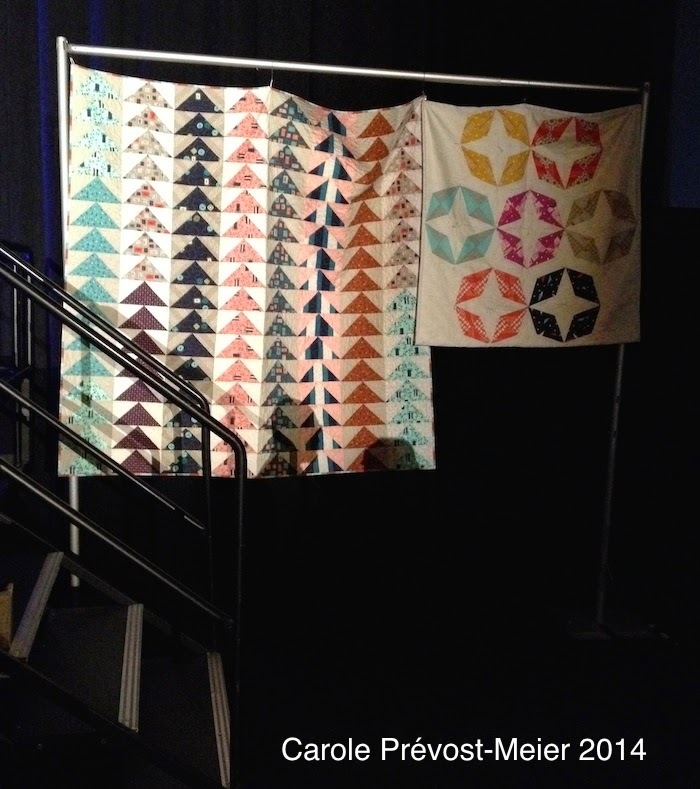 Quilting Adventures: Back from spring market ....! Pittsburgh was wonderful. I am still assimilating all the knowledge and ideas I acquired. When I attend these types of convention, I'm on a mission .... one of acquiring as much knowledge as possible within a limited time. In other words, I push myself to the maximum. It's actually the first time I come back exhausted. I'm blaming it on the 11 hour drive back! I want to share a meaningful picture I took from the convention balcony. That little tree reminds me of the Little Engine that could! I stood outside admiring it for at least a half hour! There it is, growing on a cement pillar, being rattled every now and again by passing trains. It just spoke to me about life and one's determination. A powerful image, full of personal meaning! Wish I had a stronger telephoto lens. Schoolhouse was informative, as always. Quite the buzz about these new modern fabric designers for RJR Fabrics called Cotton + Steel. The session was very well presented. You can learn all about them at this link. Love my new bag! All very lovely to look at! The machine quilting on the modern quilts I saw was phenomanal! So much negative space to work with! More to come later! Thanks for stopping by! Cheers! Some great pics but loved the tree! I really do love the tree, it is things like that, that make us stop and think. Looks like market was a hit and that is a long drive. I won some market bags a few years ago, love them and great for my projects when I travel. 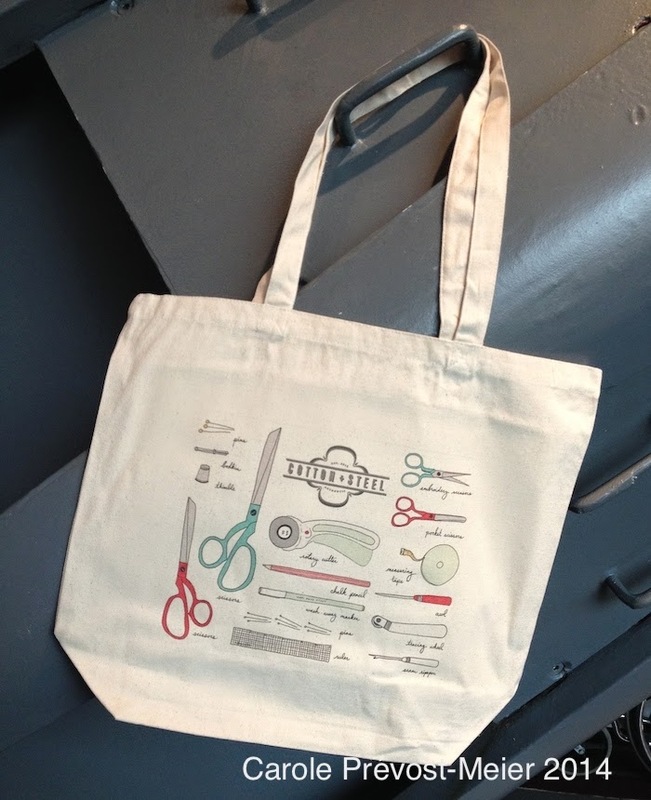 Oooh, you got a Cotton and Steel bag -- I thought that was the best part, you lucky girl! And your tree shot is fantastic. How brilliant you are to have noticed!